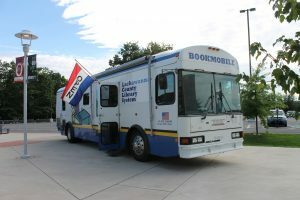 Art in the Park with the Bookmobile! Due to an unforeseen issue the Lackawanna County Library System Bookmobile will not be attending the Arts in the Park at the Merli-Sarnnoski Park from 10am-12pm on Tuesday, July 10, 2018. We hope to see you at the next Arts in the Park on Tuesday, July 17 from 10am-12pm at the Covington Park in Covington Township.